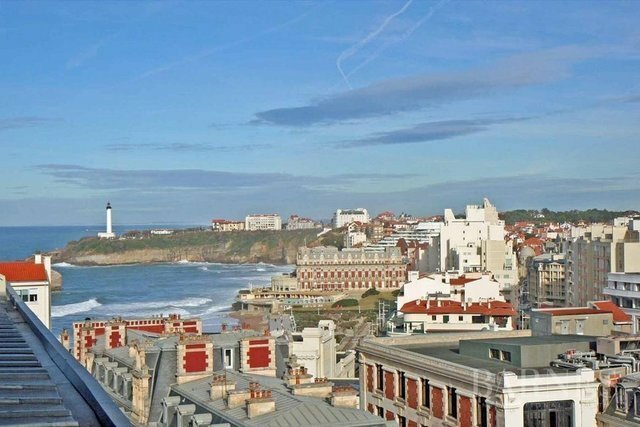 Biarritz center, duplex apartment of 153.50 sq.m in good condition, on the last floor of a building of character. Beautiful view of Biarritz, the sea and the lighthouse. Receptions, 4 bedrooms. Lift and caretaker.